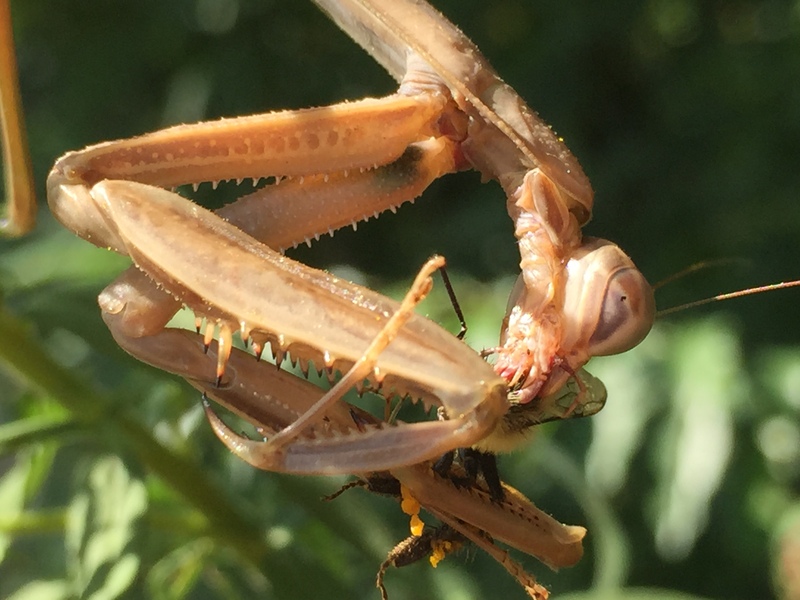 This praying mantis lady is eating a bee. 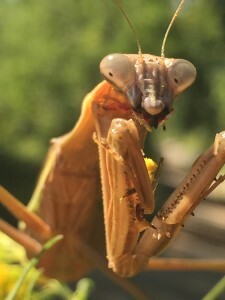 I was shocked to find a praying mantis sitting on a flower in a Brooklyn park this week. How rare! Aren’t they endangered? 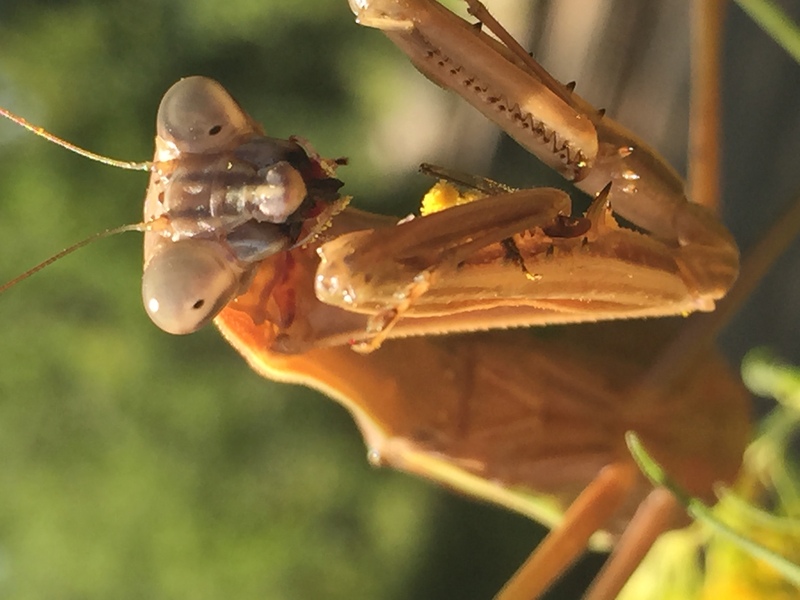 Well, I was shocked again to find out that they’re nothing close to endangered–the IUCN (the union of concerned scientists that decides which species are threatened) hasn’t even been concerned enough to evaluate whether the common North American mantis is in trouble. But that didn’t stop me–or my friend Gabriella or my toddler daughter–from enjoying the extremely unusual show of a four or five inch bug trying to hide from other insects, then pouncing on them. And not in some kind of graceful swoosh. How do bees not notice this monster sitting on a flower? It would be like me not noticing a lobster the size of a bus. Everything the praying mantis did was clumsy. The way she walked, jumped, flew. But she still caught two bees in about an hour. And when she did, she tore off the bees’ legs and shoved them into her mouth with the extra legs or claws that stick out of her jaw. It was like legs eating legs. Our friend David came by and showed us how you can get the mantis to walk on your hand and pet its wings. He finds their brown, styrofoam-like egg cases from time to time in the park. So they’re not endangered or rare, just really freaky and fun to watch. Praying mantis pulls apart a bee.